Performance in any organisation is dependent on three things: direction, skills and motivation. Direction focuses on the “where are we going?” and we often utilise business plans or strategies to outline this. It is important that businesses go in the right direction. Boards and Senior Management Teams often focus on this, cascading it down to the employees. However, the company’s business strategy is not ‘the be all and end all’, especially if employees do not buy into it or are not engaged to move it forward. The other two ingredients of performance are much more relevant to the workforce. The Skill Set, because the skills of employees and managers are really important in a business. Most organisations will have a series of systems and processes in order to establish the skill set - Training Needs Analysis; Appraisal process; Induction programmes, etc. Alongside the skill set is the missing ingredient - Motivation. Motivation at work is crucial, because no matter how skilled a person is, if they are not motivated they will underperform. Performance = Skills + Motivation. Can you afford not to have motivated staff? Motivational Maps® is a simple online diagnostic tool that enables individuals, teams and organisations to understand and prioritise what motivates them. It reveals how motivated they are, providing practical and effective tools that increase motivations at all level. How does Motivational Mapping benefit my business? Download GoalMind’s Motivational Mapping Workshop outline. 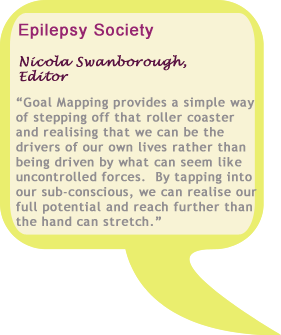 Contact GoalMind to book a Motivational Mapping Masterclass or organise motivational coaching sessions.